For a more personal and exclusive experience, consider taking a private safari or beach house, but have the service of a lodge. 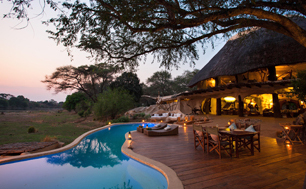 The trend for renting your own private house in Africa is on the up. With your own staff, the activities and complete flexibility are centred around your own time and needs, it takes the hassle out of the holiday, and you can enjoy time on your own terms. We work closely with a range of beautiful handpicked houses - from the cosy and characterful, to the slick and glamorous safari and beach houses in amazing locations. Ideal for special birthdays and anniversaries. You sort the guest list and let us do the rest. Grab two or three families - Plenty of malaria free options and often cheaper than a lodge. 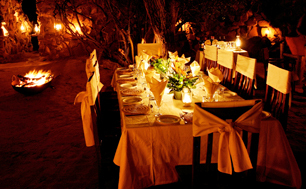 Game drives, guided walks, horse & camel riding, canoeing, boating, fishing - all included in the cost. Tailor your day around what you would like to do - no rigid wake up times or activity schedules. 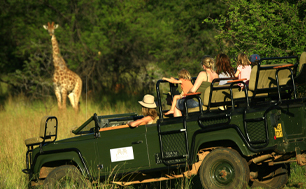 We have lots of places up our sleeves, but here are a few ideas to get the juices flowing..
Malaria Free private game farm, South Africa - Beautiful ‘home away from home’ - add on a week in Cape Town for the perfect family holiday. 'I had a farm in Africa ...', Kenya - Escape winter and rent a characterful homestead on a working farm near Mount Kenya. Stunning beach villa, Mozambique - Water sports, diving, world class fishing - ideal for a weeks flop with friends.